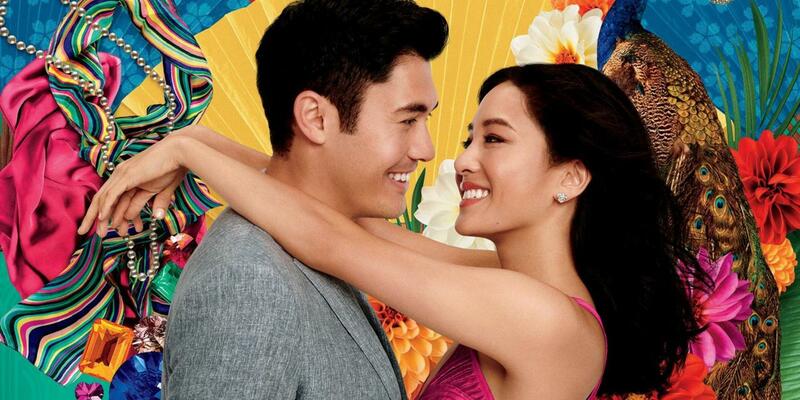 Directed by Jon M. Chu, Crazy Rich Asians follows Rachel Chu (Constance Wu), a New Yorker who travels to a wedding in Singapore where she will meet her boyfriend Nick’s (Henry Golding) crazy rich family for the first time. Crazy Rich Asians is a romantic-comedy that hits all the right notes from the engaging love story and hilarious comedy, to the genuine sense of heart and emotion. The trailer for this movie really hammed up the over-the-top spectacular nature of this film with loud visuals and bright lights and I wasn’t all too keen on checking it out initially. But when the word-of-mouth started to come in I had to check it out and I’m more than glad I did. This is a story that feels fresh and new with its strong Asian-American representation and often doesn’t rely on typical rom-com cliches to keep people engaged. It brings a lot to the table in terms of a thoroughly engaging story led by protagonists you care about and does well incorporating the opposing characters whom you love to hate. The only gripe I have with the film is that there are some pacing issues through the second act which the rom-com genre is all too familiar with but other than that this is a resounding success. What makes this story so damn fun and the characters so loveable and interesting are the brilliant performances from the entire diversely talented cast. The lead performances from Constance Wu and Henry Golding are fantastic with their electric chemistry drawing you into their story from their first scene. It’s not just the leads that share a compelling chemistry with each other as a large number of supporting roles all contribute to the story in various ways. Awkwafina, Ken Jeong, Jimmy O. Yang, and Nico Santos play some of the more comedic roles and all of them are hilarious and make the most of their near impeccable comedic timing. Awkwafina especially is beyond hilarious, almost everything she says and does results in a massive laugh. Whenever she walks into a scene it’s bound to be a good one with the crazy energy she brings to it. Then you have Michelle Yeoh, Sonoya Mizuno, Gemma Chan, and Chris Pang among others who add to the heart and emotion of the story in some uplifting and some not so happy ways. It’s not easy to manage this amount of characters with each one being compelling and having an interesting place in the story but Crazy Rich Asians accomplishes this. Michelle Yeoh especially is such a masterclass that her presence is felt through every scene and she’s amazing to watch in action. Being a rom-com you’d hope that it’s funny at the very least and you can get some good laughs out of it. Crazy Rich Asians has no issue there as humour is woven into every scene so smoothly it will catch you off-guard most of the time. There are times in which the humour doesn’t really hit as well but it doesn’t ruin the scene the emotion gets you and it’s well integrated to where doesn’t feel at all out of place despite the film harbouring a relatively comedic tone. One element I absolutely loved is the visual aesthetic of the film which is stunning and eye-catching throughout. Not only is the costuming great but the Singapore setting makes for a beautiful and elegant backdrop for every scene. The film also gets very playful with the way it imposes these coloured lines and text effects over the screen to illustrate scene transitions or in one sequence the passing of information. It gives the film this unique sense of style to remember it by and it really works. Another aspect which I thought was great is the use of Chinese renditions of American music to fill out the soundtrack. It fits in with the whole Asian-American culture being explored and keeps you locked into that part of the world. In the end, Crazy Rich Asians has come out swinging and is a solid thoroughly enjoyable rom-com that will no doubt bring in a tonne of revenue as a sequel has already been greenlit. Similar in vein to My Big Fat Greek Wedding (2002) this isn’t a perfect rom-com but I can see myself revisiting this in the future because it’s such a fun and enjoyable ride at its core. The performances are fantastic, the bright and playful visual style is unique, and the culturally inspired music caps off a brilliant film that is well worth the watch.